Bearing the European Parliament resolution of 21 January 2016 on the situation in Ethiopia in mind, the Unrepresented Nations and Peoples Organization (UNPO), following consultation with its sources, would like to update you on the possible impacts of the natural gas exploitation and export deal between Ethiopia, Djibouti and China on the peoples of Ethiopia. Last year  Ethiopia signed an agreement with a group of Chinese investors and Djibouti, committing to lease a vast amount of Ogaden land in the south-east of the country for natural gas exploitation. The multi-billion dollar project, which aims to exploit natural gas from the Ogaden region and export it to China via a pipeline, will be built between the region and Djibouti’s Damerjog Port. Gas fields in Ethiopia are mainly located in the south-east of the country in the so-called ‘Ogaden Basin’. The region is the historical homeland for Ogaden indigenous people against whom authorities in Addis Ababa have been following a suppressive marginalising policy. 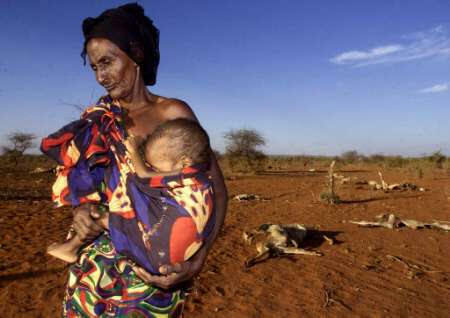 Unsurprisingly, the Ogaden people and their political representatives were not involved in the conclusion of this deal, nor they will benefit directly from it, despite the fact that it is vitally linked to the use of their ancestral lands and natural sources. Decades-long marginalisation and suppression policies of the Addis Ababa Government on Ogaden and Oromo people are not likely to change and the communities are very critical towards the gas-deal, especially since other ‘development’ projects imposed by the government in the past have led to nothing but major human rights violations, including coerced displacements, extrajudicial killings and further repression. It is expected that on this occasion as well, many Ogadenis will lose their lands and it seems unlikely that the deal will bring prosperity and development to the region. UNPO seconds the importance of the economic development of Ethiopia as well as that of other countries in Africa. However, projects like this one should be adopted on fair and equal terms for all Ethiopians, making sure that they have as little impact as possible on the environment and socio-cultural life in the region. - UNPO calls upon the Ethiopian government not to use this project as a means of suppression and unfair treatment of the Ogaden people, but on the contrary to include Ogaden initiatives in the process. - UNPO urges the international community and especially the European Parliament to take all necessary measures and diplomatic actions to prevent this 'development project' from turning into a catastrophe for the environment and the peoples of the region. - UNPO urges both the Ethiopian government and the international community to ensure that local populations are involved in the future decisions on projects that can have an impact on the environment and on the livelihood of thousands of people.